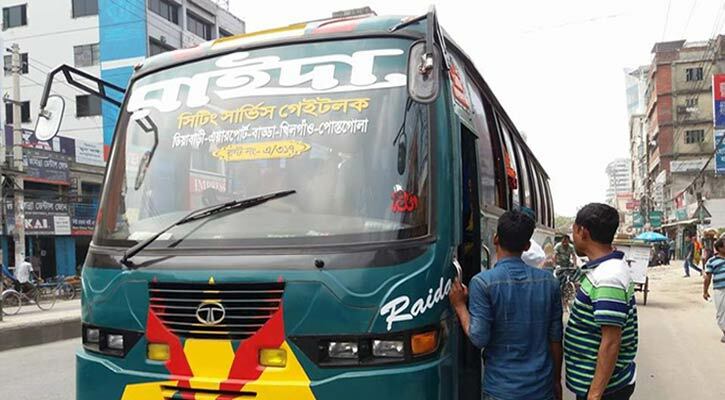 In another incident of reckless driving, a speedy bus smashed the left leg of another bus driver in the capital's busy Jatrabari intersection while the victim was crossing road on Tuesday night, reports UNB. The injured Ismail Hossain, 47, a driver of 'Anabil Paribahan' was admitted to Dhaka Medical College Hospital for treatment. The incident took place in the area when a bus of 'Raida Paribahan' ran over the victim when he was crossing road, said Bacchu Mia, sub-inspector of DMCH police camp. The thigh of Ismail's left leg got smashed. Besides, his testicles were also injured, police said. Ismail met the tragic incident while returning to his home at Bhuigarh in Narayanganj after finishing his duty.